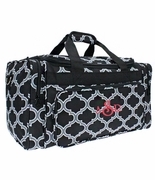 Women’s weekend tote in an a black and white diamond pattern in micro-fiber fabric.. Classy, durable duffle bag with plenty of zipper pockets. Unlined with supported bottom. 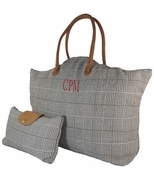 Perfect travel duffle tote with over the shoulder adjustable carry strap. Quality constructed tote for weekends. 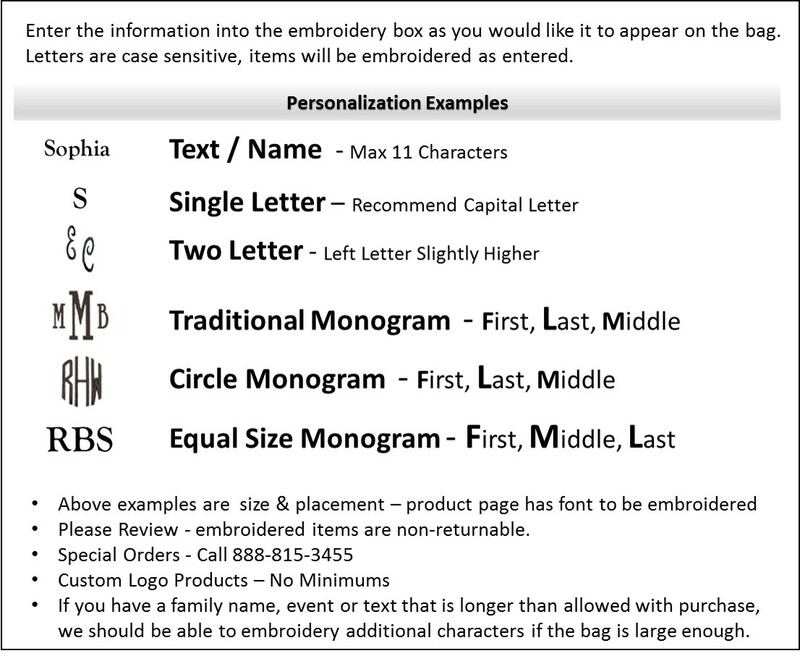 Add a personal monogram for a classic look. 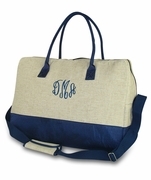 Women's weekend tote measures 20W” X 11H” X 10" across the bottom. Zip closure, web carry handles.